In what will likely be the largest bike-share expansion in the U.S. this year, Seattle’s Pronto launched last week with 500 bikes. Local media is reporting the system hosted about 4,000 rides its first week. That’s generally seen as a positive sign, about in line with what DC’s successful Capital Bikeshare’s early totals. But this bike-share launch is a little more complicated than most, because Seattle has a mandatory helmet law for riders of all ages. Riding a bike in Seattle without the proper head gear can land you an $81 ticket. Pronto bike-share will eventually have helmet rental equipment, but that won’t be available for about six months, so instead the city is loaning helmets on the honor system. The helmets will be sanitized after each use, and wrapped in a plastic coating. How well that will work remains to be seen. Seattle’s alt weekly the Stranger pointed out that the helmet law could be a major drawback for the system. The money that is being poured into the experimental helmet vending system could have been used for additional stations, the paper’s Ansel Herz pointed out. 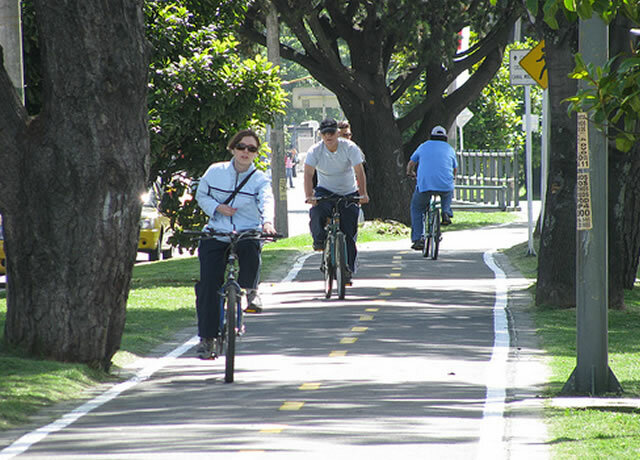 Gordon Price, director of the City Program at Simon Frazier University in British Columbia, wrote on his blog Price Tags that the “only places” around the world where bike-share systems “weren’t wildly successful” were cities that have helmet laws, like Melbourne, Australia. Mayor Ed Murray has made it pretty clear that he is not in favor of eliminating the city’s helmet law, saying it saves on health care costs. This is highly questionable for a few reasons. Helmet laws have been shown to discourage cycling, and the more cyclists there are, the safer cycling becomes. Furthermore, bike-share has proven to be extremely safe, without a single fatality in more than 23 million total U.S. bike-share trips. 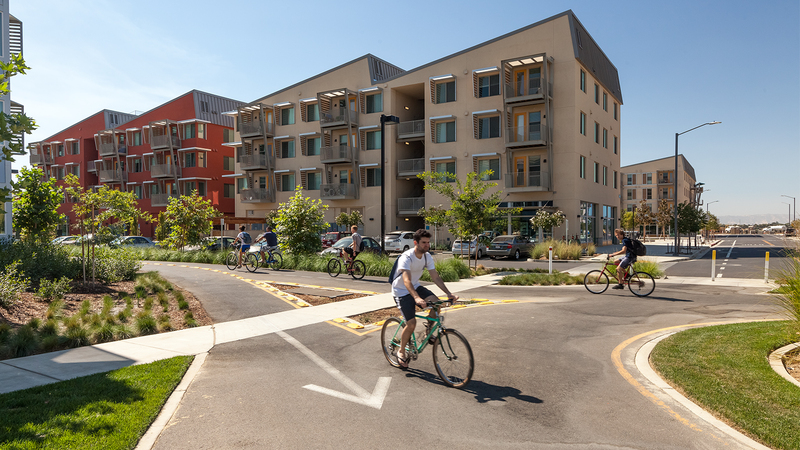 Though it was widely misreported, a recent study found a decline in total head injuries following the introduction of bike-sharing in American cities. And of course, exercise, including cycling, improves health overall. Some cities, like Dallas and Mexico City, have eliminated or modified helmet laws to help ensure the success of their bike-share systems. Hopefully, Pronto’s success won’t be hindered, but it will be interesting to watch what happens in the coming months. I wish I could find it now, but I recently saw a study that showed per-hours-traveled, a driver was slightly more likely to suffer a head injury than a cyclist. On a sheer numbers basis, driving by far causes the most head injuries of ANY cause. So the health cost logic further loses water and shows that helmet-laws are reactionary in nature or are a bone thrown to the conservatives who wish to hold the transportation status-quo. Even signage and stenciling matter. If you’re an Interested and Concerned and your city is constantly visually reinforcing to you that to bike you need to be a hunched-over Mr. Mushroom Head road warrior, you’ll probably continue with the conclusion biking is for “Those Brave/Athletic/Equipment-Having People” and Not For Me. Which activity looks low-stress, “normal,” and easy? And the way to throw out this law is to cite this data with a proposition to apply the helmet law to drivers as well. Sure, you can point out that relatively few people bike, but even breaking it down to a per-capita per-hour traveled thing (as per the link above) biking is not a particularly dangerous activity. Yet people dragging down their cigarette will yell at you to “GET A HELMET.” It’s an emotion-based cultural belief, not one based on facts. It is interesting that the helmet law is by the city. In Melbourne it was a State law. Similarly, in Vancouver, BC, it is a provincial law as they are trying to get their bike share off the ground. By the way, it is “Fraser,” named after the explorer Simon Fraser. I’m still amazed a city so progressive like Seattle being wrong on this one. Seattle is the only big city/metro area I know in the USA with mandatory helmet laws for all ages. And the Melbourne and Adelaide, Australia bike share results (both are spectacular failures because of mandatory helmet laws) should be the kicker. We have data already, with the biggest one in our own backyard with Capitol Bike Share in DC and Citibike in NYC (both do not require helmets yet their users are safer than the general cycling population at large). Why is the mayor still insisting that those data do not exist? The retorts from the mandatory-helmets-policy crowd usually seem to be along the lines of 1) well, their infrastructure is better and 2) more people bike there so drivers are used to looking out for bikes. Of course that’s amazingly backwards because even ignoring helmets’ dubious safety protections in the first place 1) shouldn’t you be pushing better infrastructure above all else then rather than victim-shaming? and 2) required helmets are above all else a proven way to make bike modeshare go *down*. What’s also funny is that “well, that’s nice for Those People in Europe who are so very different from us” is now all the less tenable an argument given the success of cities like NYC and DC (not to mention long-term American examples such as Davis) in terms of improving infrastructure, rolling out bikeshare, and seeing big modeshare increases in the US. No matter the continent, I know of no mandatory-helmet community that’s seen modeshare climb beyond the low single digits. In places where they actually focused on good, pervasive infrastructure instead of victim-shaming, the modeshare has come naturally. These backwards policies such as Seattle’s and Vancouver’s (unfortunately beholden to BC’s provincial law on the matter) are a legacy of a set of beliefs in the 70s-90s about what biking is that have proven to be an absolute failure. And they have a modeshare (approaching or exceeding 20%) to show for it. Here is a list of 700 cities and their cycling mode share. Please note that the number cities with double-digit cycling mode share and a mandatory helmet law is precisely zero. …also have absolutely miserable showings on the modeshare list. For example the first Australian city to appear on the list is Darwin, at #208th place. “Surveys show Western Australia’s mandatory helmet legislation reduced public cycling numbers by at least 30%, yet total hospitalised cyclist injuries did not decline at all. The reduction in head injury numbers was marginal. West Australian cyclist numbers recovered in the decade to 2000 but hospital admissions were at record levels from 1997, roughly 30% above pre-law levels by 2000. In essence, the results strongly suggest that the mandatory wearing of helmets increases the risk of accidents and thus injuries. Didn’t mean to attach that PSA from Boston but it’s also a good example of the whacked nature of victim-shaming. Rather than question the status quo places like Boston would prefer to blame the victims of a relatively safe activity and in turn actually make bicycling *less* safe by discouraging more people from doing it. I would consider myself “conservative” and I bike daily to work without a helmet. I also support funding bike lanes and reducing car lanes, and actually believe it costs less than building endless roads to nowhere. I biked many years as a kid without a helmet, never had a head injury, had a few falls as a child and skinned my knees. Are we going to have mandatory knee pads? Helmets are stupid and pointless, don’t wear them, not wearing them encourages others to ride,. I have never had anyone yell at me “yet” to get a helmet, and I bike 5 days a week. Then again, where I live, no one honks their horns while driving either, so perhaps it’s a lack of manners? At the micro level I personally wouldn’t tell someone to ditch their helmet if wearing one really makes them feel better (although they should be aware drivers have been shown to behave more carelessly around helmeted people due to the belief they’re invincible). I mean, that’s their choice. But at a macro level I think the data show how problematic Helmet Culture (victim-shaming/status-quo-accepting PSAs, mandatory helmet laws, etc.) itself is in terms of hurting biking and paradoxically making it less safe. It ends up branding what is statistically a pretty safe activity (safer than driving or walking!) 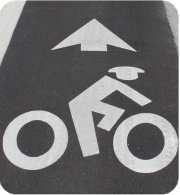 as Unsafe, which is a big factor in the Interested But Concerned’s reticence to try biking to get around. And to the extent that injuries do happen, Helmet Culture is very victim-shamey rather than questioning the status quo of pervasively poor driving practices. Mandatory helmet laws for adults are draconian and counter-productive. I say this as someone who not only wears one every day, but has had one save his head during a low speed fall (forced onto a sidewalk seam by an inattentive driver) last January. I ride 2 hours a day, 5 days a week and that was the first time my head has struck the ground in many years of commuting in very heavy Los Angeles traffic. I think that helmets are a personal choice and those who choose not to wear one should not be punished, pressured or judged in any way. It’s highly unlikely that not wearing one will be an issue for your average rider. Seriously, stop with the nannying already. It is ridiculous. Thank the Catgoddess Québec where I live is green on the map! Seattle is hardly progressive. Keep in mind we don’t have an income tax so if you don’t have a $15 minimum wage your lower working class is essentially living in poverty due to high property tax (passed down in the rent) and super high sales tax. You are talking about a city with some of the most overcrowded schools in the country, in a state with the most regressive tax system in the country and social programs that routinely rank in the bottom 5% of US states, including mental health and elderly care. We pay some of the highest rates for internet access and most of our poorer neighborhoods still don’t have high-speed access! This is the home city of Amazon and Microsoft yet many people only have the option to pay $40/month for 5mb service! Meanwhile billions of dollars of sales tax dollars are being dumped into road projects or used to offset Boeing tax breaks. Will the companies be able to maintain safe bikes, provide good service, and stay financially viable in the long run? It's too soon to say. But in the early going, they are proving that plenty of people will use bike-share in a city where it previously flopped. 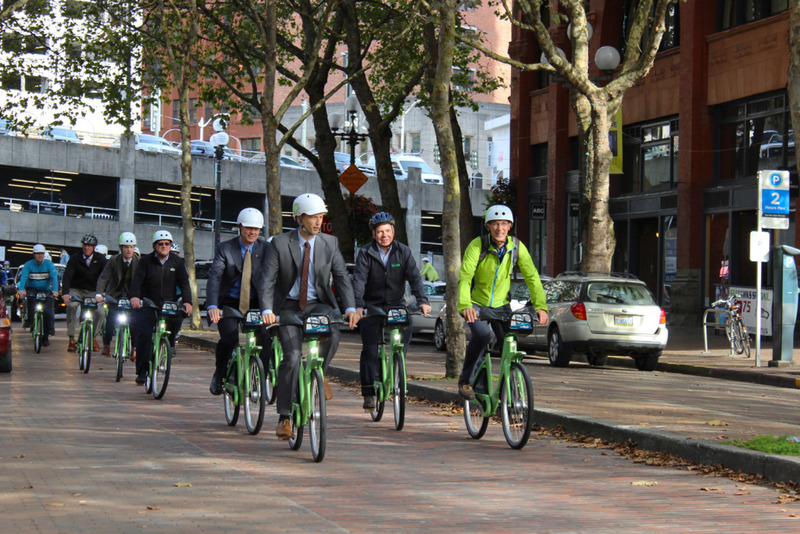 Seattle Just Canned Its Bike-Share System. What Went Wrong? If Seattle is going to give bike-share another try, it will have to learn from this experience. The Pronto system started off small and never scaled up. And that mandatory helmet law really didn't help. If the city's helmet law kills bike-share -- again -- public safety will suffer.